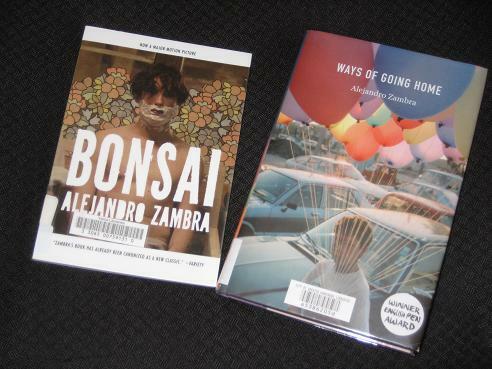 Bonsai (translated by Carolina De Robertis) was Zambra’s breakthrough prose work (he’d already published a couple of poetry collections). It’s not exactly the longest of books, a one-sitting read for me, but it’s a novella which shows his style and preoccupations, even if it’s perhaps a little more experimental than some of his later work. 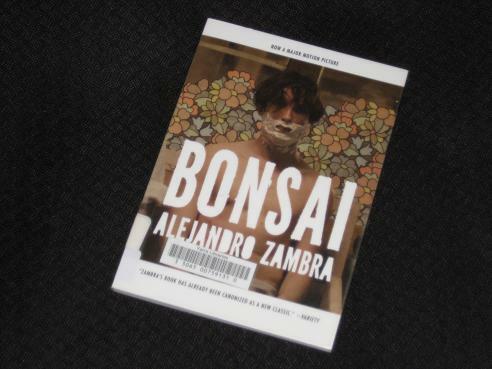 Bonsai is the story of a love affair, deceptively simple, but laden with stark truths. Knowing from the start how the featured relationship will end lends the story a sombre tone. However, just when you’re starting to lose faith with the book, it all changes, as the second section introduces us to Zambra, or one of his alter egos. You see, it turns out that the first part is just the start of a book he’s writing… From here, the story starts to become more complex as he uses his fragile relationship with an ex-girlfriend to look back into a shared past, one which neither of them really wants to acknowledge. Heather – Thanks 🙂 I’m sure you’ll enjoy them (and if not, they’re all short anyway!). Tony, Thanks for these reviews of Zambra’s stories. I think reading and reviewing the whole lot in one go actually gives you a broader view of each of the books and of the author’s work, so it provides us (your readers) with a richer point of view. 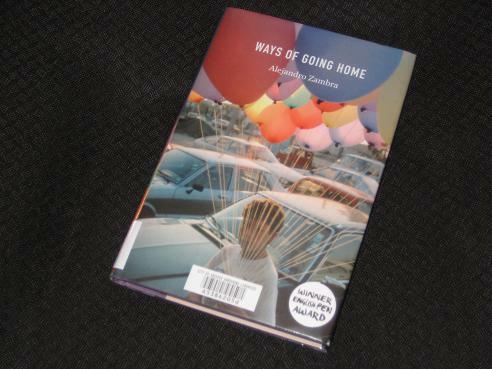 One comment/question: in the third paragraph of your review of ‘Ways of Going Home’ you write: “Of all Zambra’s books, Ways of Going Home is the one which focuses most on the problems Colombia faced in the 1980s”. Isn’t this author from Chile? I certainly plan to read My Documents. Bonsai sounds however a little slight, and Ways sounds good but I am mildly allergic to novels about writing novels. The link to the Pinochet era though does sound like it makes better use than one might fear of that approach.